What’s More Important? Friends, Waffles, or Work? Creating a contact center culture in which agents are happily engaged can be difficult. One way to improve engagement is to encourage employees to develop friendships at work. Studies by Gallup found that when employees have a close friend at work their level of engagement goes up a whopping 50%. The results of my Workplace Wisdom Break surveys of 190 front-line agents revealed the value agents place on their workplace friendships and how those relationships contribute to the quality of their work experience. play in your agents’ happiness and engagement. 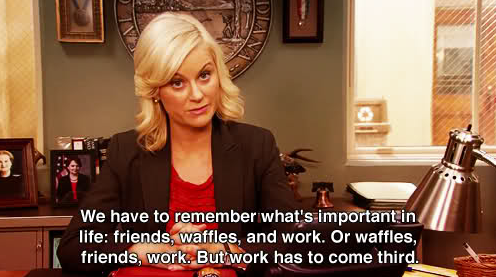 As Amy Poehler suggests, maybe work should rank third in importance behind friends … and waffles.